Animal behavior has been an unending source of curiosity for ethologists and scientists for decades. Studies in animal behavior range from feeding interactions and mating to social organization and habitat selection. By far the most effective method of gathering information on animal behavior has been surveillance cameras. 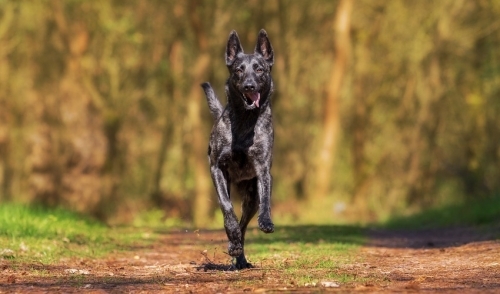 These camera systems are excellent for observational purposes because they can be installed as a non-intrusive fixture within an animal's habit. Depending on the species, animals will often assert dominance while feeding in groups. 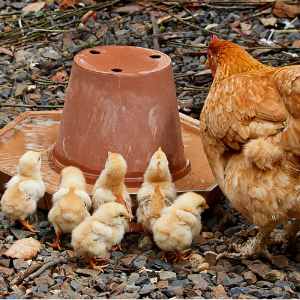 When chickens eat, they establish a "pecking order." Often the most dominant chicken will use intimidation by pecking or staring at rivals to communicate that they will eat first. Often the mere threat of a peck is enough to establish dominance, causing others to back down from a meal until the dominant chicken is finished eating. If the dominant chicken is challenged, it will fight with the challenger until a victor emerges. Observing chickens during feeding time via CCTV camera systems can reveal a subtle yet sophisticated method of communication. Video surveillance can also reveal the behavior associated with predator/prey interaction. In the video, a fox is observed as it attempts to prey upon a chicken. Notice that the fox is frenzied and attempts to chew through the fence. Its efforts may even show a willingness to hurt itself as it digs a hole beneath the fence and squeezes through. Ultimately, the fox finds its way into the coop and steals away with a chicken to eat at a later time. What we can learn from such an interaction with a video camera system-- how do the chickens react when they're inside of the coop, escaping the fox? Do they band together? Do they take individual actions? When do they decide the coast is clear? When we think of a chicken's diet, certain food choices come to mind -- vegetables, fruits, flowers, grass, grains, seeds, and bugs. But surprisingly, chickens also eat meat. To be more specific, chickens hunt and consume mice with surprising efficiency. Camera systems can reveal a great number of surprising facts about animals when observed in their natural habitat. Surveillance can also reveal unique animal behaviors that occur at night. 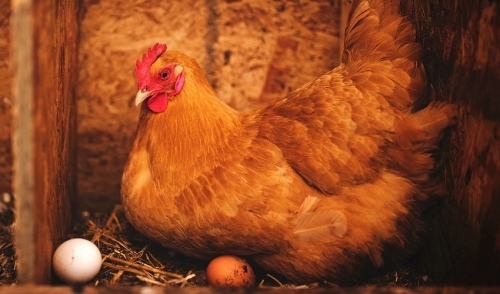 Chickens will peck at each other and claim the coziest sleep locations for themselves, displaying that an act of dominance often determines even the act of sleeping. CCTV is also excellent for observing animal behavior when a threat is present. For example, a chicken will audibly warn its flock when a predator is nearby. The flock will then band together and retreat en masse to a safer location. Through surveillance, we can discover how an animal perceives day and night cycles. In the video, a flock of chickens is observed during a solar eclipse. When the sky darkens the chickens go back into their coop. However, when the celestial event eventually passes and the sky brightens once more, the chickens exit the coop. At that point, a rooster crows. Well placed camera systems will be able to pick up on such unique animal behavior. We can discover how animals react in certain situations where their perceptions may not be entirely correct, such as mistaking a solar eclipse as night time. Animals react differently when they experience a specific type of stimulus. That stimulus can be based on hunger, fear, injury, etc. For example, chickens often huddle together on cold days to stay warm. If a predator is nearby, they will likely run away due to the stimulus of fear. Animal behavior can change rapidly depending on the stimulus they are experiencing at the moment. As observed earlier, the fox that was targeting the chicken coop was possibly willing to injure itself to grab its prey. It's reasonable to conclude that the fox was hungry enough that its behavior was influenced to the point of possible self-injury. Observing animals via video surveillance can provide an in-depth and intimate look into their behavior. We can learn how they react in certain situations and even learn a thing or two about how they perceive the world around them. Learning how and why animals behave the way they do can help us to understand and study them on a deeper level.